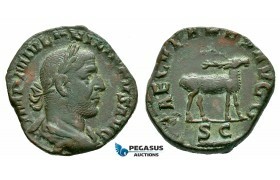 AC018, Roman Empire, Philip I Arab (AD 244-249) Æ Sestertius (15.92g) Rome, AD 248, Obv. 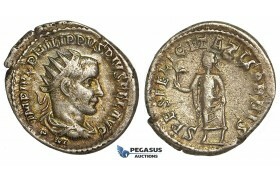 : Laur..
AC019, Roman Empire, Philip I Arab (AD 244-249) BL Antoninian (3.81g) Rome, AD 247-249, Felicitas, O..
AC020, Roman Empire, Philip I Arab (AD 244-249) BL Antoninian (3.92g) Rome, AD 247-249, Felicitas., ..
Y76, Roman Empire, Philip I. 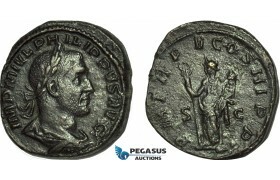 The Arab (244-249 AD) AR Antoninianus, Antioch, Felicitatis, Obv. 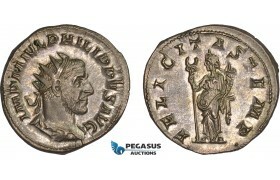 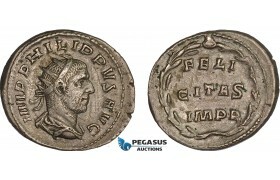 : IMP ..
ZM174, Roman Empire, Philip I, Æ Sestertius (14.49g) Rome, 248 AD, Commemorating the 1000th an..